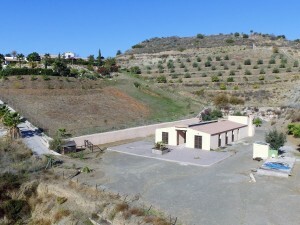 Fantastic 3 bedroom 1 bathroom and WC apartment for sale in Carboneras just 50 mtrs from the beach. This lovely apartment is located on the second floor and there is a lift. The whole building very clean and well kept. 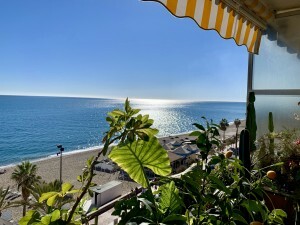 It is located just off the main street on entering the town of Carboneras and within walking distance to all the amenities the town has to offer such as supermarkets, bars, medical centre etc and of course the restaurants for the excellent sea food. On entering this apartment there is a spacious entrance hall. Firstly on the left is the fully fitted kitchen, straight ahead is the lounge/diner which is very spacious and benefits for two large Juliet balconies with sea views. To the right of the entrance hall is a hall which leads to the bedrooms and the bathrooms. Firstly on the left is a spacious double bedroom with built in wardrobes and a Juliet balcony. Next along is the family bathroom, further along is the second guest bedroom and to the end is the larger master bedroom which has an ensuite WC with lots of storage. 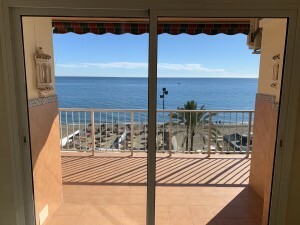 Apartment is great quality and located in the heart of a lovely coastal Spanish town. Contact us now to arrange an appointment!